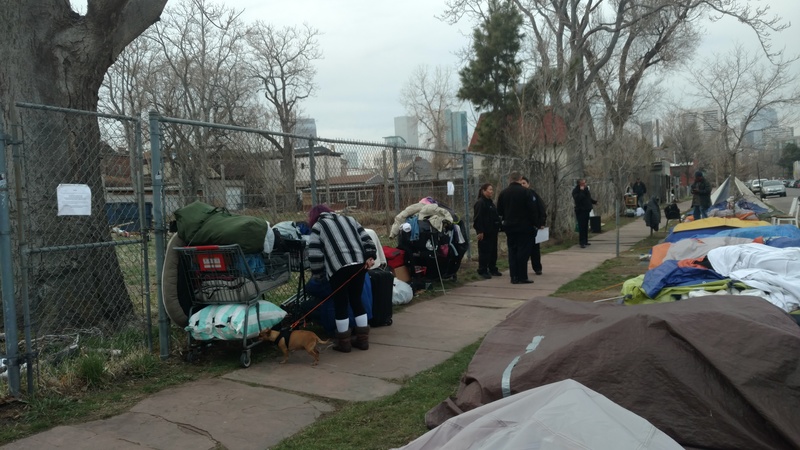 Denver, CO — Wednesday April 10th, twenty people living without housing in tents at Jerry-E-ville – a survival camp of homeless people at 27th and Arapahoe, are facing being swept “away” for violating the camping (aka survival) ban. On April 3rd fifteen police descended on Jerr-E-ville to warn them of the sweep. Residents have, nonetheless, remained at this spot with no where else to go. Currently there are twenty homeless individuals living at Jerry-E-ville. Many of the folks living there are couples who would be separated if they stayed in a shelter. About half of those residing there are employed and at work all day. Many of the residents are elderly and have disabilities. Three vets currently live there. The place this survival camp is on is public land in front of a vacant plot that used to be low income housing owned by DHA. They drop their tents down in the day. The camp is spotlessly clean. 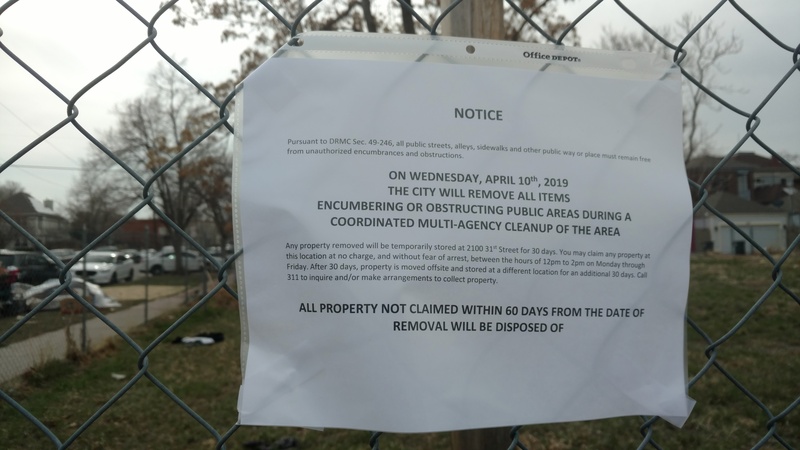 Jerry Burton, “mayor” of Jerr-E-ville, invites the community and press to come out Tuesday night (April 9th) and Wednesday morning (April 10th) to support those being criminalized for their survival and to document this police attempt to make human beings disappear. Candidates for mayor and council are encouraged to come. Water, coffee and snacks are appreciated. Note: this is a survival camp (not a protest camp) so please respect the leadership and needs of the residents. This comes one month before voters will decide if using protection from the elements when you are homeless surviving in public should be a crime.